When Was the Last Time You Took a Home Inventory? Do you remember all the “stuff” you have in your home? Do you have a way to show that “stuff” was really yours and was really in your home? If you needed to make a Homeowners Insurance Claim because of some type of disaster, an inventory of your “stuff” could come in very handy. A recent survey has shown that more that one half of all Americans don’t have a home inventory…I hope you’re not one of them. 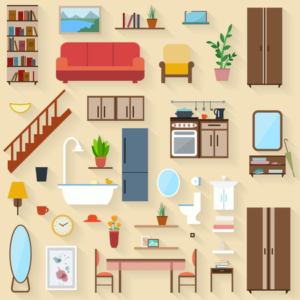 First and foremost, your home inventory can help you place a value on your “stuff”, which enables you to purchase insurance with the correct coverage limits. If you do need to make a claim, having an inventory can really speed up the process. It will help verify your losses, which can keep your claim moving smoothly and make sure you receive a fair settlement. You may not remember everything that was destroyed or stolen, (it can also help for burglaries), but if your home inventory is current, everything can be accounted for. What should you inventory and how often should it be done? To begin with, inventory everything in your home, furniture, fixtures, decor, jewelry…everything. Be thorough and don’t leave anything out. For larger ticket items, not only will you want a description, but it would be very helpful to have serial numbers, the date it was purchased, and what it cost originally. Saving the receipts on more expensive items in a safe place is a good habit to get into. Because the “stuff” we own changes quite frequently, additions and subtractions, I would suggest you update your inventory at least annually. Many people like to do it at the beginning of a new year, (so now is a good time); it’s an obvious choice and easy to remember. When you choose to do it isn’t the important thing, the important thing is that you do it! The first inventory you take will be the most challenging and time consuming, because you’re starting from scratch, and though subsequent years will still take a bit of time, it will be less than the original. Begin at one end of your home (or apartment) and work your way through the house room by room, opening drawers and going into cupboards and closets. Take pictures, either photos or videos…today’s technology has made this so much easier to do, because almost everyone carries a camera around with them on their smartphone. You could write everything in a notebook, but that process is much more tedious, and a picture is more solid proof. If you’re videoing your inventory, talk about and describe your items, if you’re taking photos, you might want to consider writing down descriptions of the important things. 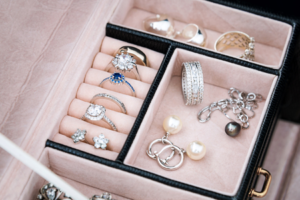 Once your inventory is complete, make sure it is stored safely, and off premises, such as a safety deposit box in a bank, or in cloud storage. It won’t do you any good stored in your home if a disaster occurs. Let your home inventory work for you…it can be a great guide to help you plan your homeowner’s coverage to make sure you are adequately insured. For help, Allstate Insurance has a wonderful Free app, called Allstate Digital Locker that will help you create and store your information. If you are interested in getting more information on protecting your home and your “stuff”, I’d love to talk with you. Contact me or one of the agents at Whitcomb Insurance Agency today!